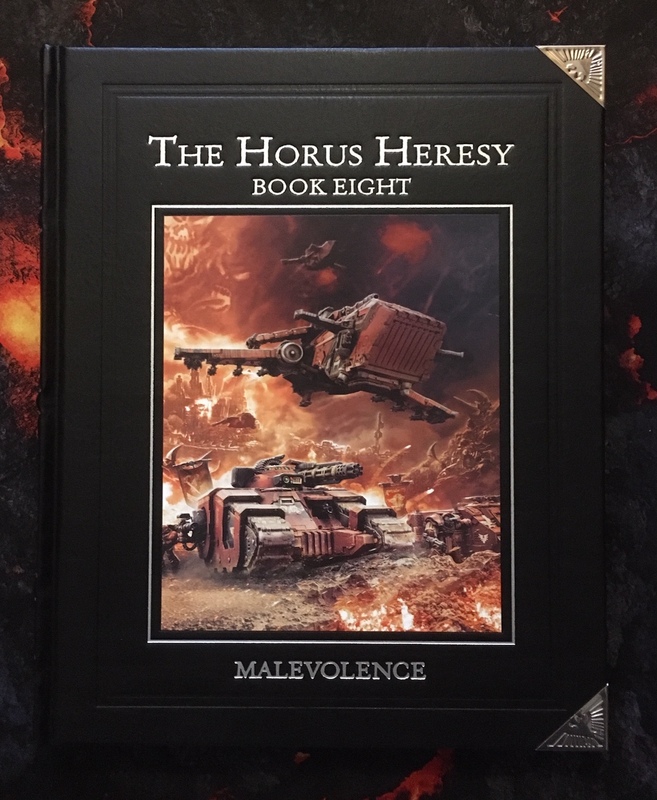 We begin our reviews of Malevolence with the Blood Angels and the Dawnbreaker Cohort. Sine the legion rules have not changed since the last outing, we refer readers back to Retribution for our earlier review. The Dawnbreakers are the elites of the assault squads for the Blood Angels. They are known for accompanying Sanguinius himself in dawn raids as they sprinkle down from the skies to liberate long long human colony worlds from xenos and tyrants alike. In a nut shell, they are beefed-up assault squads. Along with a regular jump pack, they also have artificer armour to make them more survivable. This will work well with both "Days" rites of war for the legion in general. Their weapons are interesting. Along with the grenade dischargers, they have access to falling-star pattern power spears as standard. These are the same weapons that the Phoenix Terminators of the Emperor's Children have under a different name which gives AP2 and and one extra pip of strength on the first turn of combat which makes them very hard hitting. Alternatively, they can have Equinox blades: one with shred and keen, the other with rending and sunder. Both give a bonus pip to initiative which is truly excellent against other legions and their regular squads. There is a worry about being tar-pitted, particularly against enemy terminators if this squad is not built for taking them out on the first turn. They also lack significant ranged weapons (beyond the grenades). Otherwise this is an excellent unit selection when played to its strengths. I would like to devise a way to give these guys hit and run to take more advantage of the power spears so that they can really devastate terminator enemy squads. But that's a thought for another day. In the mean time, here are some thoughts for builds. A basic build to provide a good amount of damage on the first assault turn and pose a continuing threat to infantry. Another sort of "basic" build to take advantage of the sunrise and sunset blade to give a bit of flexibility, but it gives up the AP2 on the charge which is why I would recommend the blade of perdition. The mixed approach and maximum squad number is a very nice squad indeed, although here the points cost obviously start to stack up making this a choice for a larger points value game. The addition of melta bombs is cost effective for this unit as well as a potential further upgrade. Thank you for doing this, your reviews of the HH are one of the highlights of my time reading blogs, looking forward to the rest! Thanks for the encouragement -- much appreciated!